The Cyr wheel is a large metal ring the size of a person. It was the only piece of acrobatic apparatus to feature in Bromance, the striking debut show from circus company Barely Methodical Troupe, which otherwise focused on hand-to-hand work. 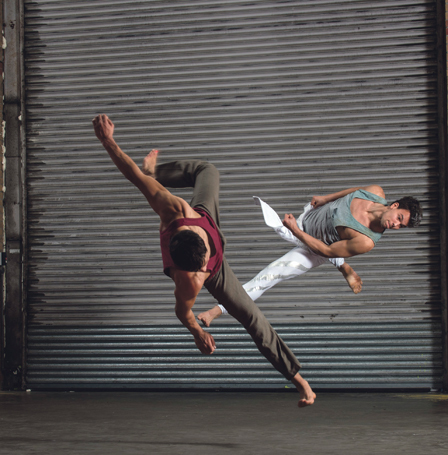 It’s quite a dramatic thing to see in motion – the unity of body and wheel, the dizzying increase in speed – and it was responsible for some of the show’s most thrilling sequences, gravity momentarily giving up and exiting the building. The three core members of Barely Methodical Troupe are Louis Gift, Charlie Wheeller and Beren D’Amico. 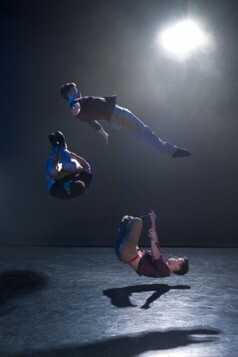 Barely out of circus school, they created Bromance, a genre-blurring show that drew on their backgrounds in dance, parkour, and b-boying. 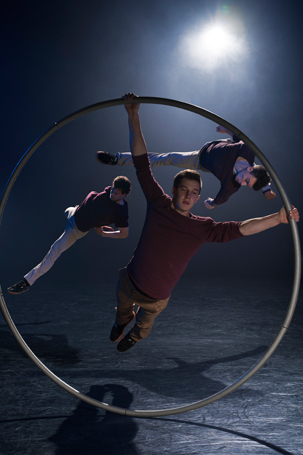 It was a circus show full of jaw-on-the-floor moments (many of which involved the Cyr wheel), but was also eloquent, witty and even a little poignant in its exploration of male friendships and relationships in general. The trio bore each other’s weight, they grasped each other’s hands, they all stripped down to their pants, they supported one another, threw each other in the air, and – on occasion – they let each other fall. 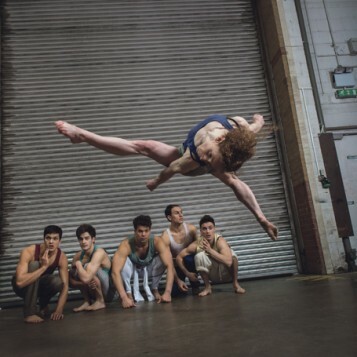 They began performing the show in 2014, it was part of Underbelly’s Circus Hub programme at last year’s Edinburgh Fringe, and they continue to tour it. 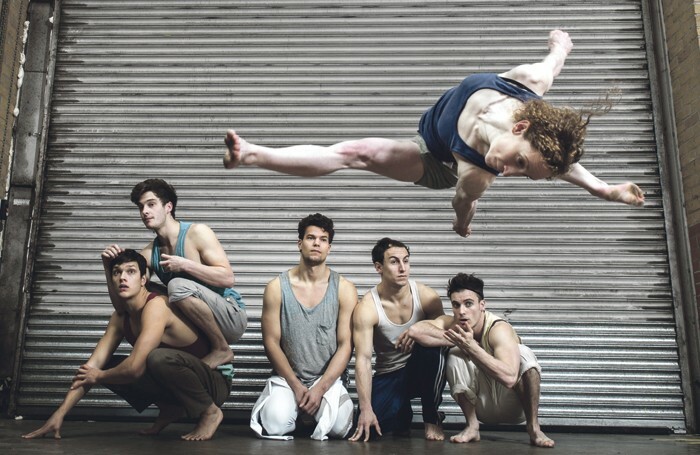 Their new show Kin – which will premiere at CircusFest at the Roundhouse, London, this month – sees them pushing the circus-as-metaphor line further. Though “the vibe and the humour is similar to Bromance, it comes from us”. 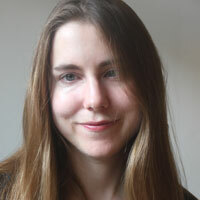 Gift explains that Kin “takes its inspiration from Lord of the Flies”. 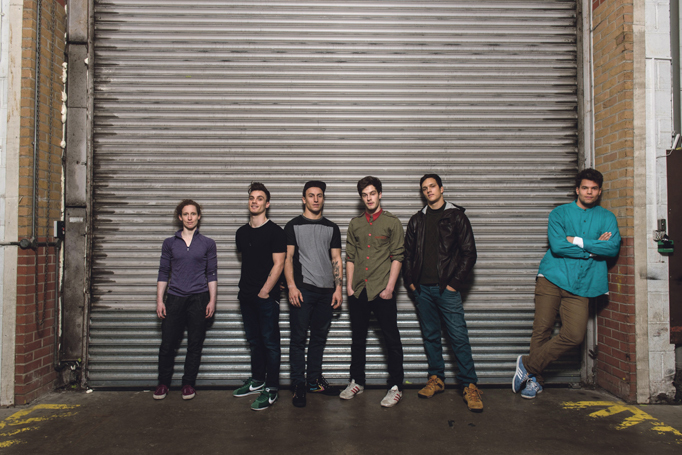 The new show also sees the team double in size, with Gift, Wheeller and D’Amico performing alongside Jonathan Bendsten, Jean Brousse, and Nikki Rummer. 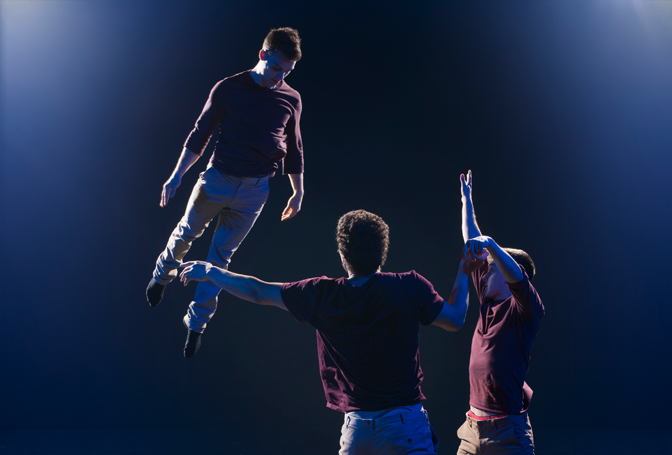 It will be choreographed and directed by Ben Duke, the co-founder and artistic director of Lost Dog, whose recent dance-theatre pieces include Paradise Lost (Lies Unopened Beside Me) and It Needs Horses. For the past hour, I’ve been watching them rehearse Kin in a chilly studio space in Hackney Downs, lit by strips of pink neon and the orange glow of portable heaters. It’s a fascinating process to see in action: the repetition, the refinement of movement, the infinitesimal shifts in weight, the positions of feet and hands, the placing of trust in each other. Afterwards, when we talk, we all end up sitting in a circle on the blue crash mats, as if we were in school. It’s interesting to see how the group dynamics play out in this context, too – who talks and when. With Kin, they’re also pushing further at the line between dance and circus. 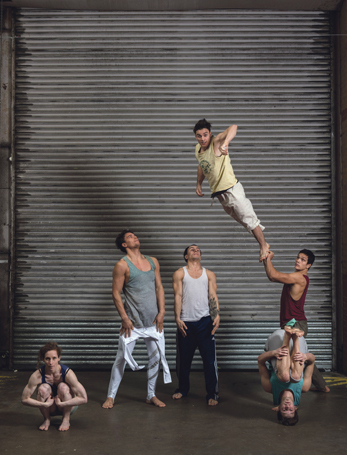 For Duke, “there are similarities between circus and the dance world, but there are also huge differences”. Risk is part of the process with the work they make. With Bromance, they had to cancel shows due to injury, and during last year’s Edinburgh run they had to remove some of the more demanding routines from the show to give them time to heal. The rehearsal process is as much about minimising risk as it is about anything else. With April’s CircusFest and Underbelly’s launch of a dedicated circus space at last year’s Edinburgh Fringe, it does feel like an exciting time to be making circus. They’re all in agreement that it is becoming more of an art form. For US-born Rummer, who trained as a gymnast, this is very much the case.